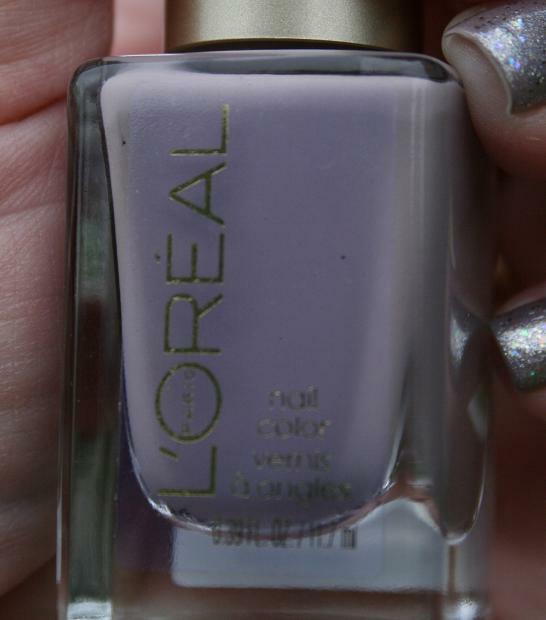 I based this mani on an Emmy mani that L’Oréal Paris Consulting Nail Expert Tom Bachik created for Ashley Judd. First, Tom applied a deep taupe violet color, Colour Riche Nail in Eiffel For You, as the base color. 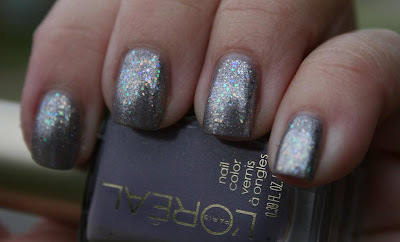 Then, he gilded the tips with a chunky silver sparkle, Colour Riche Nail Diamond Collection in Sparklicious (he only gilded the tip vs. a full on French manicure for a long slender look). 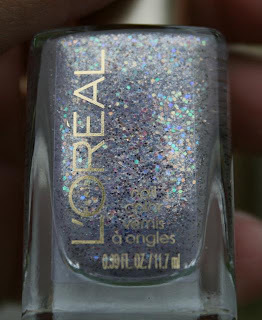 I had received Eiffel For You to review, and I already have a similar sparkle shade, Silver Sparkle, in my collection, so I decided to add that on top. It's quite rainy and gloomy here, so I wasn't able to get my typical sunlight shot, but I think the overcast lighting really lets you see the different colors of glitter in Silver Sparkle. It's really gorgeous and eye-catching. The finish is also super-smooth after just one coat of topcoat. I relly like the polish, sparkly without being gritty. Thanks!